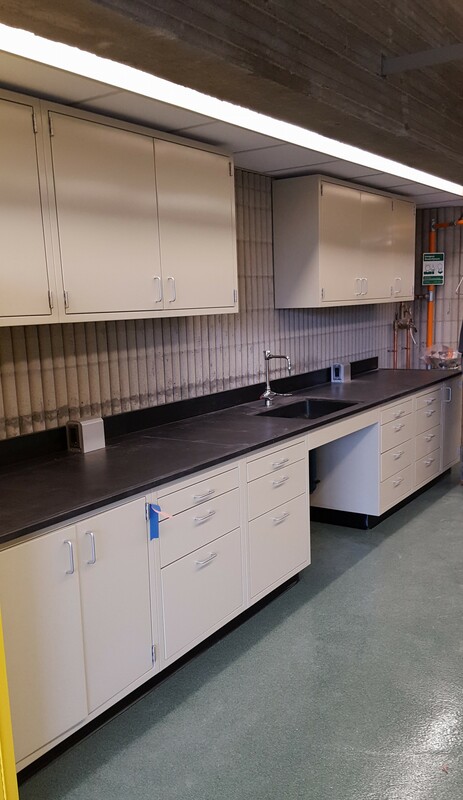 The completely renovated Environmental Engineering Lab is a fully self-contained wet lab. 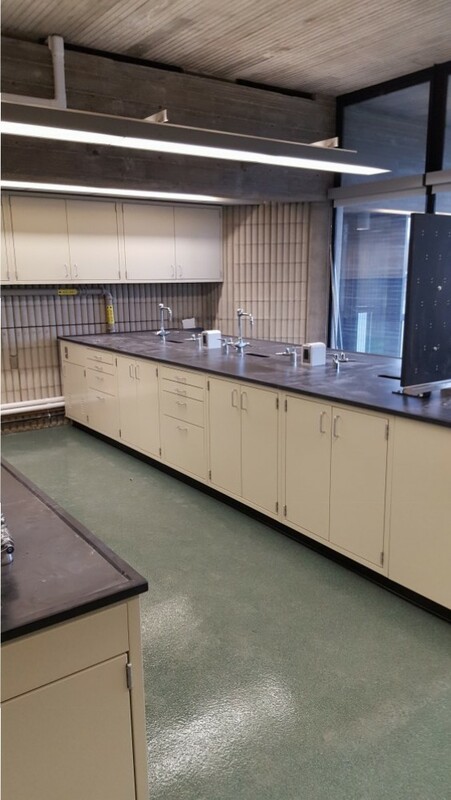 In this lab, students will perform many of the procedures found in drinking water and wastewater treatment facilities. 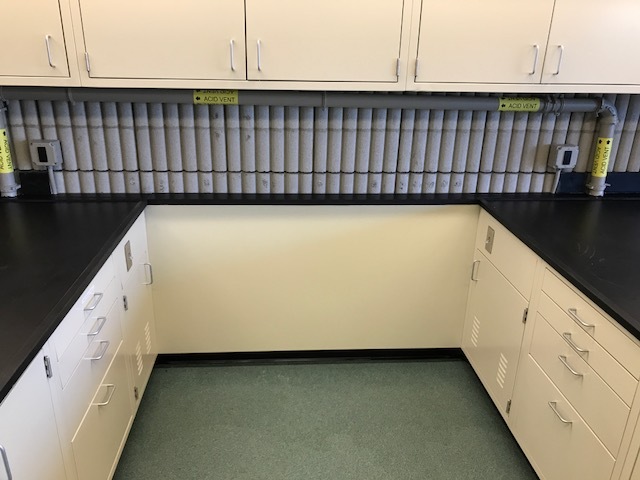 In addition to instruction, the lab is also used for year-round research, focusing primarily on novel methods to remove contaminants in wastewater and re-purpose them for other uses. 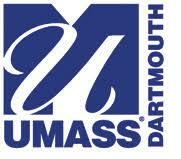 UMass Dartmouth is one of five campuses of the University of Massachusetts system. 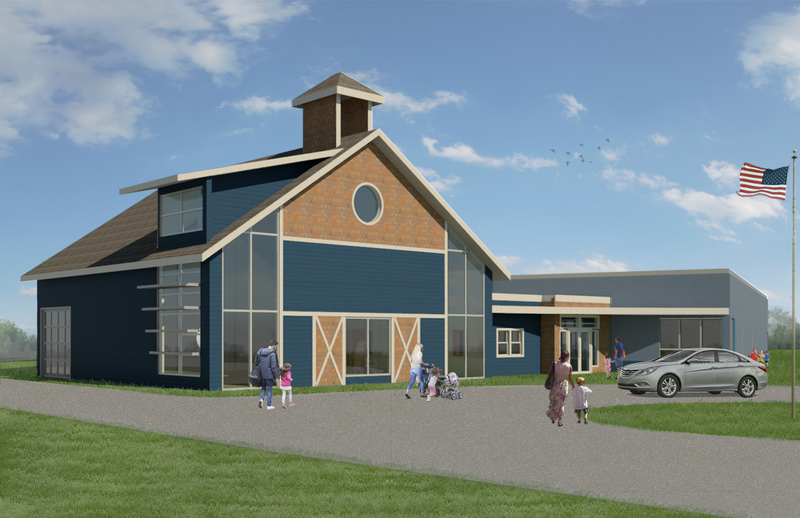 UMass Dartmouth distinguishes itself as a vibrant, public research university dedicated to engaged learning and innovative research.